What? Cold Calling & Twitter? Now there’s a couple of strange bedfellows! Well, we actually think not! Cold calling can be a challenging activity, although when you cold call you do have the benefit of being able to strategically select who you call. 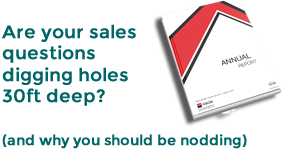 Having said that, the success rate when cold calling will probably be lower and the sales cycle potentially longer. But what if you could warm up these cold calls? What if you could have at least started a relationship with your prospects before you call them? Be strategic when you’re calling your prospects cold. Develop a profile of what your ideal client looks like and develop a list of ‘gold’ prospects based on this profile. When you’re successful in making them a client, you’ll know they’re a client that will be valuable to you. When you have this list, search for these prospects on Twitter. When you find them, follow them! They may or may not follow you back, and that’s ok. Create a locked list of these prospects on your Twitter account. We suggest it should be a locked list because you don’t want them to know that you think they’re a prospect! Now that you have your prospects in a list you can follow their tweets without having to wade through the tweets from all of your other Twitter relationships! Follow their tweets and endeavour to engage with them proactively. Don’t try to sell them anything, simply try to engage with them as you would with someone at a networking event. You can even interact with them if they haven’t followed you back. Indeed, doing this might prompt them to follow you back. It may be that you can suggest a meeting over Twitter, or at the very least you can refer to your Twitter relationship when you call them. Or at the very, very least you may gain valuable information about them from their tweets. It’s easy to dismiss Twitter as something upon which you can waste a lot of time, however used strategically we believe it can be a valuable aide to your prospecting efforts and relationship building.